A patient in her sixties fell to the floor. She was unable to move or reach the phone to call for help. Three days later, medicines delivery driver Mark O’Hagan visited her house in Newry, Northern Ireland, to drop off her medicines. There was no answer when he knocked. Concerned, he looked through the letterbox and saw the patient. Despite her stoic attempts to convince him otherwise, Mr O’Hagan knew she needed urgent help. He thought the patient might be happier communicating with a woman. He called his wife, who works as a dispenser at the Newry branch of his company – McKeagney Chemists, which has five stores in Northern Ireland – and another female colleague to assist. They persuaded the patient to accept his offer of help. Mr O’Hagan (pictured below, left), was forced to break a window so he could enter the property. He later discovered that the patient’s carer was not scheduled to come the next morning after all, meaning she would have been trapped on the floor for a further three days, over which time the temperature dropped below freezing. If Mr O’Hagan had not found her, “God knows what would have happened”, he says. For this patient and many others, a pharmacy delivery driver will be the only person they may have face-to-face contact with in days. However, despite recognising the value of the service, which delivers to many housebound patients, Mr Murphy says it has an uncertain future. “Unfortunately with what’s going on at the minute in pharmacy, the service is in jeopardy,” says Mr Murphy. 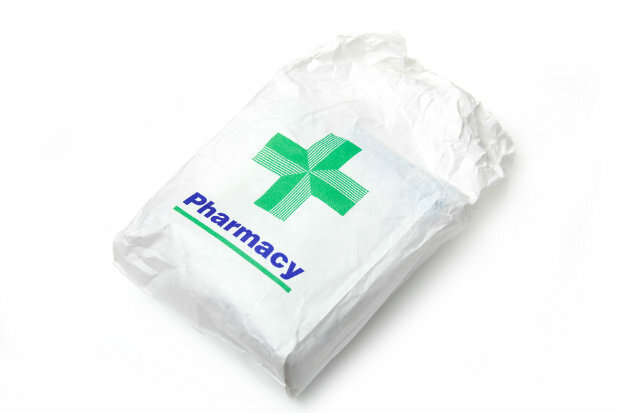 Last summer, Rowlands and Well Pharmacy ended free deliveries for the majority of their patients. This followed Lloydspharmacy‘s announcement that it would start charging new patients for this service. A C+D poll of 100 respondents in August 2018 suggested that almost one in four pharmacies already charge patients to deliver medicines to their homes, meaning potentially fewer opportunities for these kinds of vital interactions. 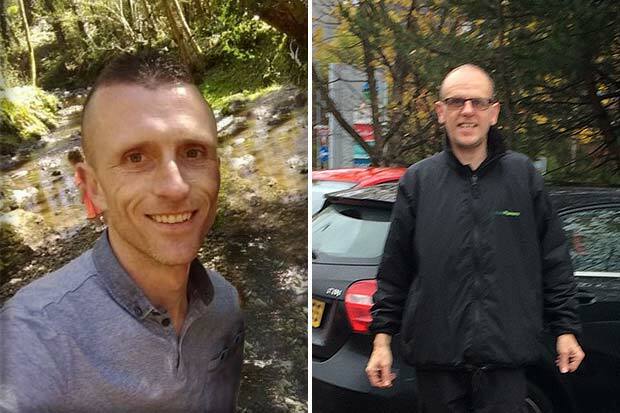 Scott Wilson (pictured above, right), a Lloydspharmacy driver who works for several of the multiple’s Glasgow branches, has also come across patients in desperate need of help. During his 11 years of delivering, two incidents stand out. The first was a husband and wife who had both fallen at home, one upstairs and the other downstairs. He informed the pharmacy, while a neighbour called the police, who broke the door down to get to the patients. On another occasion, he came across a patient who had been stuck on the floor for four days after a fall. He had been making a delivery, but when she didn’t answer, he went around to the back door. “I saw her lying between the kitchen and the hall. I heard her saying she couldn’t move,” Mr Wilson recalls. He called an ambulance and waited until they arrived. These incidents reflect how pharmacy delivery drivers can be a lifeline to their patients. Having delivery drivers there to check up on patients means they can help with a variety of patient situations. Susan Sankey – known as ‘Scooby’ to her patients – has worked as a delivery driver at a Lloydspharmacy branch in Warrington, Cheshire, since May 2017. One afternoon she was arriving at a care home with a delivery when an elderly woman walked past her. The delivery driver role – giving patients their medication, but also providing a vital contact for vulnerable patients – should not be overlooked. Ms Sankey recognises that if her patients do not receive their delivery, it “could lead to them being hospitalised”. With financial challenges affecting many pharmacies, delivery services are at risk of being cut, posing a potential risk to patient care. It’s not a coincidence that these three delivery drivers were in the right place at the right time to save patients from dangerous situations. Their role should not be undervalued. Could your delivery driver win the C+D Award for Staff Member of the Year in 2019? Entries for all 14 categories are now open, so find out more and enter below. Has your delivery driver had any stand-out incidents with patients? Remember the value of deliveries to the DoH is zero! Drivers are a vital resource in any pharmacy, and more often then not are given impossible workloads. They are for a lot of patients the only face they will see from a pharmacy. However, it's also a major expense for pharmacies, so I understand the need to restrict the service to the most vunerable of patients - unless you use the app or online service, such is with Lloyds2U and Well2U. More evidence of a push towards the online environment.